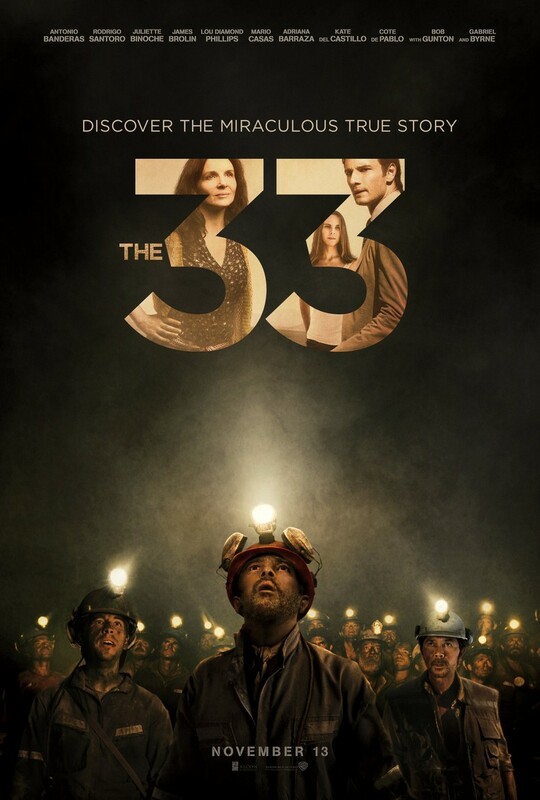 The 33 DVD and Blu-ray release date was set for February 16, 2016. In 2010, a Chilean gold and copper mine collapsed trapping 33 miners deep underground. It took 69 days for rescuers to save them. Once the rescuers knew the miners were still alive, miner Mario Sepulveda regularly recorded videos of the miners and their conditions. A disaster that made headlines around the world is remembered in this dramatic re-telling. Follow the everyday motions preceding the event, the horrifying moments of the mine collapse, the struggles of the miners as they tried to stay sane while barely surviving with little food or warmth and their reunion with loved ones in the light.